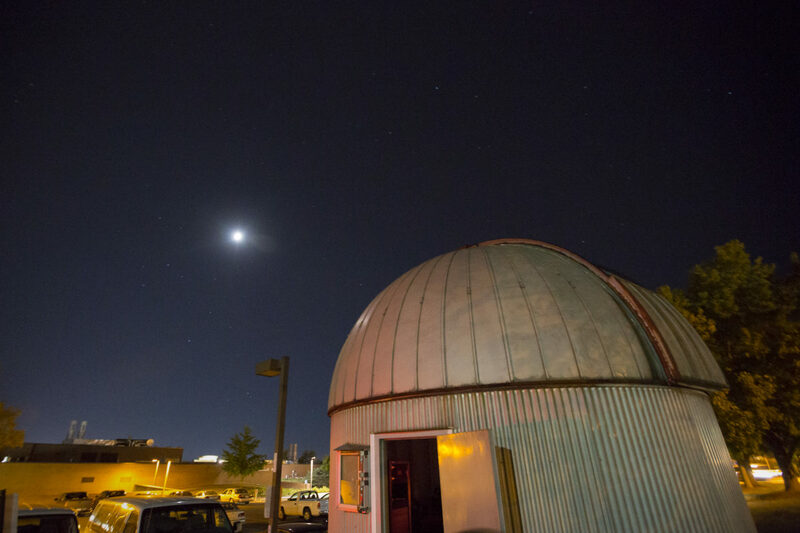 The public is invited to view the planet Saturn through Missouri S&T’s 16-inch-diameter telescope on Monday, Sept. 17. The Missouri S&T Observatory will open its doors at 9 p.m. for the viewing. The sky must be clear for observing, and the session length will vary. Saturn will be visible in the Sagittarius constellation all of this year. Sagittarius, or the Archer, hovers above the asterism, a prominent pattern of stars often referred to as ‘The Teapot.’ Saturn is the second largest planet in our solar system and the sixth planet from the sun. The ringed planet will be in wide view for the Sept. 17 event. Viewings at the observatory are free of charge and no reservations are required. Children are welcome to attend, but they must be accompanied by an adult. This is the second viewing of the S&T semester. The next viewing will be held at 8:30 p.m. Thursday, Sept. 27.